All the perks of living in an exclusive residential enclave – swanky apartments, deluxe amenities, and restful security – come together in Hilbre 28. Situated in District 19’s Kovan area, Hilbre 28 is a 999-year leasehold on Hillside Drive. This first-rate offering comes to us from Development 72 Pte. 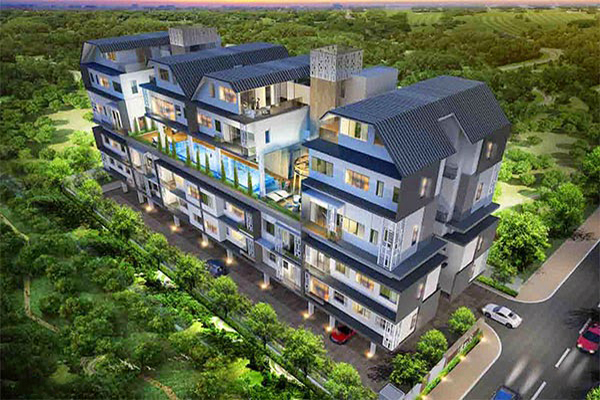 Ltd., a subsidiary of Tee Land Ltd.
Hillbre 28 features a five-storey block with just 28 units, thus the nifty name. With these multiple-bedroom units, the development is intended for families – from families that are just starting to those that are already growing. Despite the compact floor area, the interiors appear spacious because of the abundant light and the high ceilings, particularly in the living and dining areas. Every square foot is maximized, so there are no space-consuming bay windows or plant boxes. Each unit also has its own attic, which you can put to use according to your household’s needs. What’s more, these homes are punctuated with elegance, being furnished by high-end appliances and fixtures. Your life will be made even more comfortable by the basement parking and the cluster terraces. At your leisure time, you can enjoy a swim in the covered pool, or sit down for a chat at the lounge. You may also take advantage of the gym and the spa tub, so you’d always be your best self. Hilbre 28 is at Hillside Drive, just around the corner from Upper Serangoon Road. 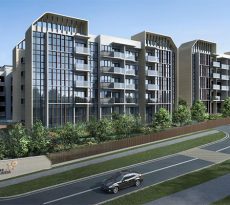 It’s well-connected to the Kallang-Paya-Lebar Expressway, the Pan-Island Expressway, and the Central Expressway. 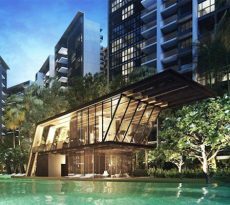 The place is just less than 2 kilometers from either the Kovan MRT Station (North-East Line) and the Serangoon MRT Station (North-East and Circle Lines). 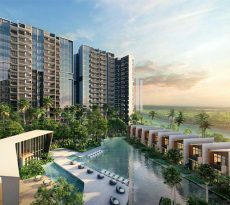 The Central Business District and Orchard Road’s leisure belt are each also just a short drive away; even nearer is the site of the upcoming Paya Lebar Commercial Hub. There are a lot of nearby places you can head to for shopping and retail therapy, such as NEX Shopping Centre, Heartland Mall, Hougang Mall, Upper Serangoon Shopping Centre, and myVillage. Delight your tastebuds at myVillage @Serangoon Gardens, which offers a variety of restaurants. You can also find delectable chow at Serangoon Gardens Market, or Chomp Chomp Food Centre. There are more cafes and restos just around each block, and you’re likely to find something you’d enjoy each time you explore the neighborhood. It’s just a short walk from the Serangoon Stadium and the Serangoon Swimming Complex. Also nearby is the Kovan Sports Centre, where you may enjoy some futsal, handball, frisbee, dodgeball, laser tag, bubbble soccer, or water soccer. The general area is marked by several different parks. Just a few blocks west are Serangoon Community Park and Kampong Park, while Surin Avenue Neighborhood Park, Richards Avenue Park, and Maplewood Park are to the east. Northward are the Japanese Cemetery Park and Tavistock Avenue Park. In addition, Punggol Park, Ang Mo Kio Park, and Woodleigh Park are each just about a ten-minute drive away. The area is perfect for families with young children, as it abounds with a lot of educational institutions, from pre-schools to colleges. Start your children right with a good primary education at Zhonghua Primary, St. Gabriel’s Primary, Xinghua Primary, or Yangzheng Primary. Among the secondary schools are Peicai Secondary, Bowen Secondary, Maris Stella High School, St. Gabriel’s Secondary, Yuying Secondary, Holy Innocents, Xinmin Secondary, Bartley Secondary, and Serangoon Garden Secondary School. There are also junior colleges in the area, namely Serangoon JC and Nanyang JC. If you’d like to send your daughter to an all-girl campus, there are a few within a 10-minute drive. You can consider CHIJ Our Lady of Good Counsel, CHIJ (Toa Payoh), CHIJ Our Lady if the Nativity, Cedar Girls School, or Paya Lebar Methodist Girls’ School. If your kids refer an international curriculum, they may want to study at the nearby Australian International School, Stamford American International School, the French School of Singapore, or DPS International School. As Hilbre 28 is a 999-year leasehold, you can look forward to keeping your new home within your family for years and years to come. Not only is it a good purchase for today, but a wise investment for tomorrow as well. It has a reasonable quantum of about S$ 1,400 per square foot, valuing a two bedroom unit at S$ 700k+, a three-bedroom at at least 1.1M, a four-bedroom at 1.6M, and a five-bedroom at 2.6M. It’s totally achievable – just call on iCompareLoan mortgage broker to help you as you compare home loan Singapore.